TONY Blair should be tried in a Scottish court for his decision to take the country to war in Iraq, according to a group of SNP MSPs. The Crown Office, which leads prosecutions, is examining their arguments following the former prime minister’s appearance at the Chilcot Inquiry last week, in which he expressed “no regrets” over deposing Saddam Hussein. A parliamentary motion calling for Blair to be prosecuted has been laid down at Holyrood and has been signed by eight MSPs. It cites the verdict of a Dutch commission of judges earlier this month, which concluded that the United Nations resolution used to go to war in 2003 was insufficient to justify military action. The Nationalists claim that, as Scots law complies with international law, Scottish prosecutors have the power to investigate the findings. 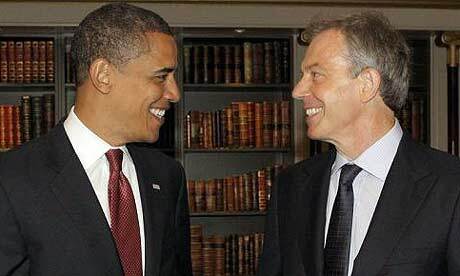 They say that if the Crown Office then finds that evidence compelling, they should prosecute Blair. The call is being led by MSP Bill Wilson, but an SNP spokeswoman confirmed last night that it “reflects the views many still hold” about the decision to take military action. But Labour claimed their opponents were guilty of trying to make “infantile political capital” out of the Iraq issue, saying they should focus their attention on jobs and the economy. The Dutch commission, which studied the country’s own political backing for war in Iraq, concluded that UN Resolution 1441 fell short of supporting full military action. That resolution, passed in November 2002, warned Iraq of “serious consequences” if it continued to obstruct UN weapons inspectors, offering it one final opportunity to comply. Britain’s own top legal adviser, the Advocate General, Lord Goldsmith, eventually decided that 1441 was enough to justify war, although it emerged last week that he had initially had his doubts. Wilson is citing Scots law, which declares that a rule of “customary international law” is followed automatically in this jurisdiction. He believes Scottish courts, and not the International Criminal Court at the Hague, should conduct an investigation. His demand is being backed by fellow SNP MSPs Jamie Hepburn, Bill Kidd, Aileen Campbell, Christine Grahame, Dr Ian McKee, Gil Paterson and Sandra White. The move is the second time the SNP has tried to bring Blair to book over the war. First Minister Alex Salmond attempted to have him impeached as part of a move that would have seen the former prime minister effectively tried by parliament. He argued that Blair had lied to the country about the case for war in Iraq, specifically on the weapons of mass destruction, which allied forces failed to find after the invasion. A spokesman declined to reply on whether Salmond backed the latest legal bid.